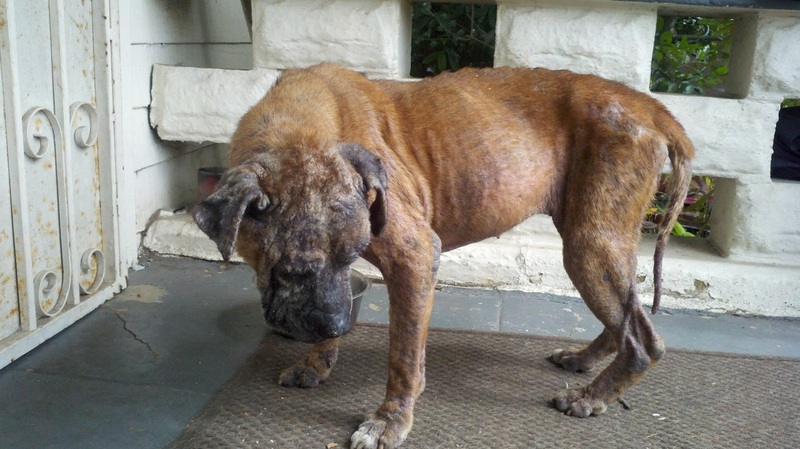 SACHI ANIMAL RESCUE will take her IF a foster home steps up for this miserable girl! 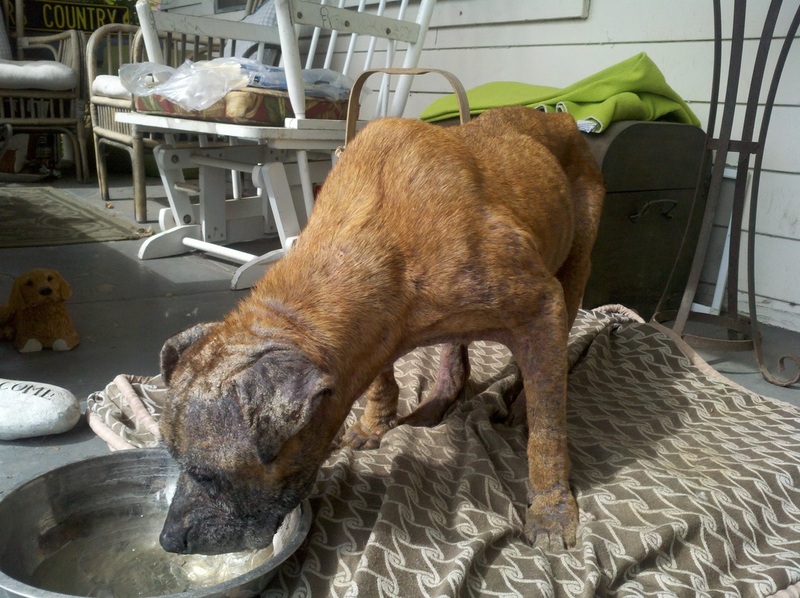 UPDATE: she is now safe, out of this hell hole but we urgently need a foster home for her (we really, really mean it!)! You will not be stuck with her, we are all in it to help Miss Grace. 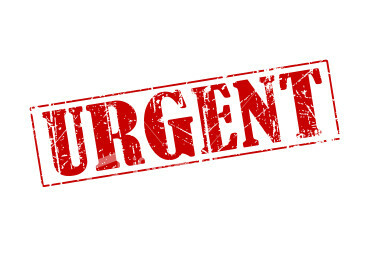 We need your help!
" A few weeks ago my neighbor, who is a dog rescuer, was told about a dog chained in the back yard of someone down the block, and the dog was tangled in the chain and had been that way for days! The owners had left town, leaving the dog chained in the yard, with no food and an empty water bowl that she couldn't reach anyway!! My friend went to check on the dog, and she was emaciated, dehydrated, with mange and a neck scar from the chain digging into her sweet little neck! They untangled the dog, gave her food and water and talked to the owners when they returned. The owner pled poverty (with a beautifully lanscaped yard and a fresh manicure! ), and said she would take the dog to the pound to be killed because she couldn't afford the vet. Ggrrrrr!!! My rescuer friend told her that they was financial help available for people who couldn't afford vet care, and the neighbor promised to take the dog to the vet immediately. A week passed and my rescuer found the dog limping down the street, no collar, no tags, no owner in sight, still untreated!!!!!! 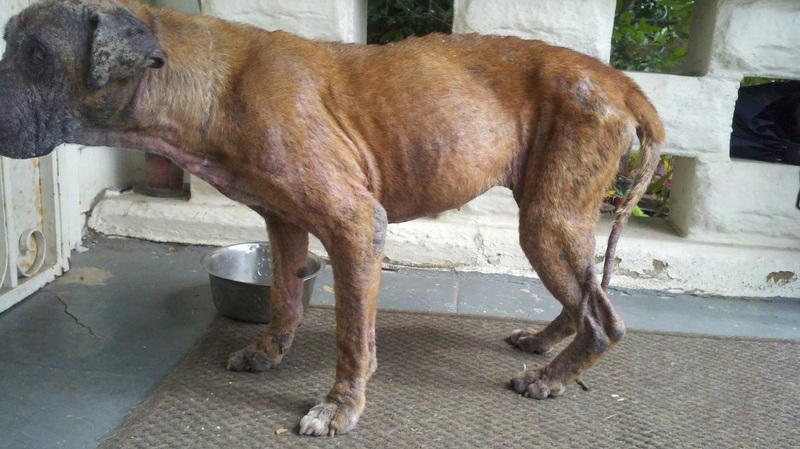 I've attached three pictures and you can see the horrible condition this poor girl is in! My rescuer friend has more than the legally allowable number of dogs already, and, to make things worse, she's leaving town tonight so we're scrambling to find a place for this poor unloved girl! My friend took her to the vet immediately, so she is being treated for the mange already, and won't be contagious, and miraculously she is spayed, so she needs a place to go asap! Can you pleaaaaase network her fast and furious with your boxer contacts???? Believe it or not, she is a boxer, though it's hard to tell because she looks so terrible. The vet said she's a senior, so she just needs a place to call home for a few years of peace. She is loving and incredibly grateful to be somewhere free from torture!! Can anyone make room for a girl who deserves to know some happiness??? Thanks!"